Making a natural stone flooring job look professional involves using the right transition molding at doorways, or where it meets other flooring. Just ending the stone tile without using good transition threshold molding looks unfinished. Finding the best Transition Threshold Molding in Florida is as easy as contacting us. We are a company that manufactures and sells prefabricated natural stone transition threshold molding and window sills, as well as natural stone tile and accessories. By having our own overseas stone quarries and factories, we can make sure the quality of our products is very high, while keeping the prices reasonable. We do not sell to the public, not even online. 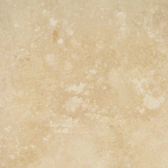 We sell our quality natural stone products through distributors in the flooring industry. Flooring businesses looking for a dependable wholesale supplier of natural stone thresholds can count on us for dependable delivery of top quality product. We supply multiple sizes and finishes of 5 stone/color selections of transition threshold molding in Florida. We have a conveniently located Warehouse/distribution center in Miami Florida. From this location we can ship to anywhere in the United States for fast delivery. We stock large quantities of all sizes and colors of natural stone products so we can fill even the largest order promptly. The five color/stones available in transition threshold molding and window sills have been chosen carefully to coordinate with the largest number of tile and stone flooring on the market. Travertine to work with most travertines available from around the world. 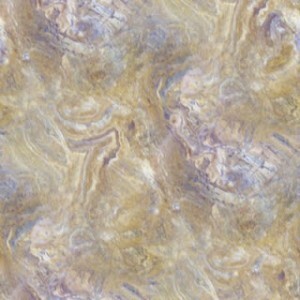 Crema Sahara Marfil to match tile and stone floors in the tan or beige color range. Nuevo White Carrara thresholds to go with whites and all tile and stone floors. Absolute Black Granite for a dramatic look, to go with black range of stone and tile. One of these four selections will coordinate well with any tile or stone installation. If a contractor has a large job with special needs, we will be glad to work with them to manufacture a custom order in the special sizes or stones required. Custom orders must meet minimum purchasing quantities, but do not entail extra charges. It is nice to know that you can find custom stones and sizes for those special jobs without the hassle of ordering direct from an overseas supplier. Purchasing your Transition Threshold Molding in Florida, rather than trying to deal with overseas suppliers is a big advantage. Many times an order from overseas suppliers can take three months to arrive, and then there are shipments that get stuck in customs for weeks. Stonexchange has a large stock right in Florida so you can order by the crate, or by the whole container, and get the product shipped immediately to your location. Getting your stock in days rather than months can be a big advantage. When you are bidding on large jobs like multi-family housing, hospitals, commercial buildings or hotel projects, having an in-country natural stone product wholesaler like us can make the difference in getting or losing the bid. We have very competitive pricing to help you beat the competition on large job bids. We stock very large quantities of thresholds and window sills, so you can guarantee faster delivery and installation to your customers. For small to medium size flooring companies, builders and stores, ordering from us by the individual crate can help you better manage your stock. You can use our warehouse as your inventory and order one or more crates a month as you need them. This is much more cost effective than trying to import directly from overseas. You can order extra crates to fill big orders or to furnish a contract. You do not have to worry about being under priced by a sell-direct to the customer web site. We do not sell to individuals or homeowners. If homeowners contact our website, they will be directed to the nearest Stonexchange dealer. The referrals are just another benefit of being a Stonexchange dealer. Great pricing and quality products shipped quickly from Miami can help you grow your business. It is a big advantage to be able to purchase high quality natural stone transition threshold molding in Florida at bargain pricing. Your customers will be impressed with the quality and color choices you can provide them. They will be more likely to purchase from you instead of your competition, because of the great pricing you can give them. The shorter wait time in ordering these natural stone products will keep your projects on schedule and clients happy. We are the company to depend on for prompt delivery of all your natural stone and travertine thresholds and window sills. We also have a full line of natural stone tile and other accessories such as soap shelves, shower caddies, shower seats, pool copings, mosaics and more. The warehouse in Miami, Florida stocks a large inventory of all window sills, thresholds, travertine tiles, pavers and mosaics, marble tiles and mosaics, natural stone flooring and all accessories. If you want to become a Stonexchange dealer, you can check our website for more information. When you become a dealer you will be sent an attractive display of products with the 5 stone/color choices. Brochures showing the full line of Stonexchange products are also available at your request. Contacting Stonexchange to become a dealer can help you get more natural stone and tile jobs, or sell more products to your customers. Having an in-country wholesaler will make your life easier when it comes to ordering product for those big jobs. We work hard to give the very best service to our dealers. Customer satisfaction is at the top of our priorities.